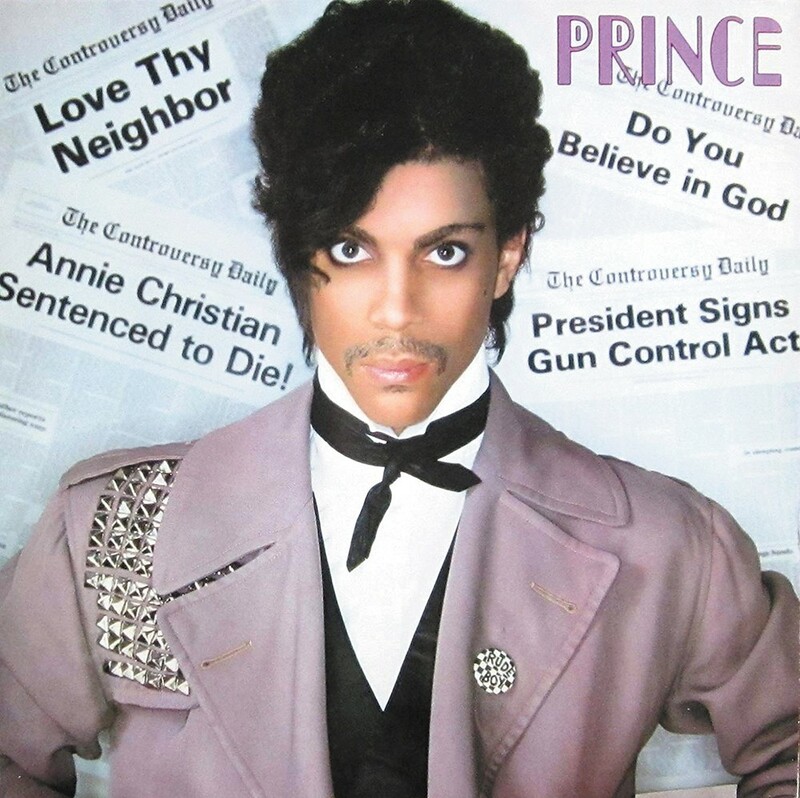 Prince's 1981 album Controversy, an early masterwork. My thumb hovered over the TicketsWest "purchase" button for what seemed like an eternity. The three or four beers I'd had that cold Saturday night were telling me to press it, but my rational mind was still in the realm of pragmatism: Do you see your favorite living musician in person, or do you eat for the next couple weeks? It was 2013, and Prince — the Purple One, the Artist, the unpronounceable symbol — was about to embark on his Live Out Loud tour, during which he played only mid-size, intimate venues. Well, intimate for Prince: Seattle's Showbox, where he had scheduled four back-to-back shows, holds 1,100 people, but that's practically a coffee shop for a guy who regularly sells out stadiums. Sounded like a once-in-a-lifetime opportunity. The reason for my trepidation: Tickets for these shows were $250. Apiece. That's a lot to pay for any show, even to see someone who's arguably the greatest live rock performer of his generation. And at the time, it was basically the figure staring back at me from my checking account. I started calculating how long the ramen in the cupboards of my sad, barely furnished bachelor's apartment would tide me over. Maybe Mom and Dad would let me come over for dinner every night this week, and let me do laundry there, and maybe they could fill up my car with gas. Or I could finally apply for one of those sketchy credit cards I keep getting in the mail from banks no one's ever heard of. Another beer later, and I did the responsible adult thing: I didn't buy the tickets. I'll see Prince some other time, I consoled myself. He tours, like, every year now. I put my phone back in my pocket, the screen smudged with fingerprints and disappointment. Prince died three years later. He never played Seattle again, and I never got to see him live. Now the Showbox is facing demolition, and everything is just the worst. It was only a matter of time, then, before Prince tribute acts started flooding the market. It always happens following the death of an iconic musician known for instantly recognizable fashions, volcanic stage presence and a deep catalogue of hits. It happened with Elvis, it happened with Michael Jackson, and of course it will happen with Prince. But the very premise of a Prince tribute act brings about conflicted feelings. Can Prince's on-stage electricity ever be duplicated? Is it possible for a mere mortal to shred a guitar so effortlessly while also cavorting about the stage in platform heels and appropriating his trademark falsetto? To even attempt it seems almost sacrilegious. What would Prince have thought? Well, he probably wouldn't have loved the idea. But then again, the fact that there's now a treasure trove of Prince videos on YouTube — and most of his discography is readily available on all streaming platforms — would have no doubt incensed an artist so grudgingly litigious and technophobic. If Prince had had his way, his legacy might have withered away in the digital age. It's a great thing that his work is now so readily available, even if he might be spinning in his grave. Purple Reign, the Prince tribute show that's hitting the Coeur d'Alene Casino next week, is currently the most prominent of its kind. Jason Tenner, who plays Prince, looks and sounds the part, and he's performed for huge Las Vegas audiences. He knows what he's doing. When I first saw the ads, I'll admit that I bristled a bit. But since none of us can see Prince in the flesh, and since his music is still as vibrant and contemporary as ever, why not check out someone who's as dedicated to Prince's work and technique as any of his most ardent fans? He'll never be duplicated, but that doesn't mean nobody should try. The original print version of this article was headlined "Princely Sum"